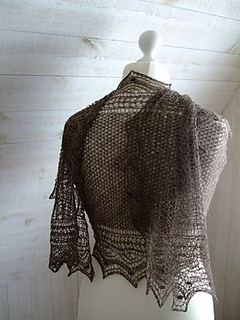 This pattern is also the first part of the e-Book Earth, which will eventually contain several shawl patterns. Patterns will be added to the book when they are ready for publication. Difficulty: Medium. Pattern on both RS and WS rows, but colour coding makes it easy to keep track of the different sections. 1312 yards (1200 m) / 100 grams. 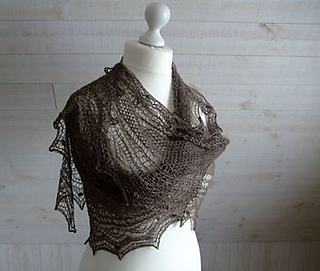 Shawl as shown used 75g or 984 yard (850 m). 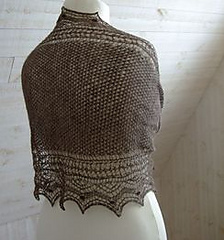 Size after blocking: Size is completely adjustable to your taste, you knit until you are happy with the length and width of your project. 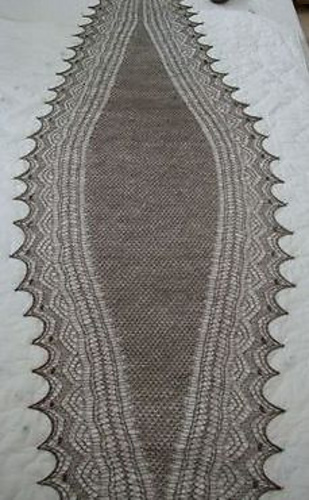 Shawl as shown measures 86.6’’ x 21.7’’ (220 x 55 cm) relaxed after blocking. Using a different yarn from the one recommended here will give a different size! Swatching is recommended. Needles: US 2 or 2½ (2.75 or 3 mm) or size to give you the fabric you like.